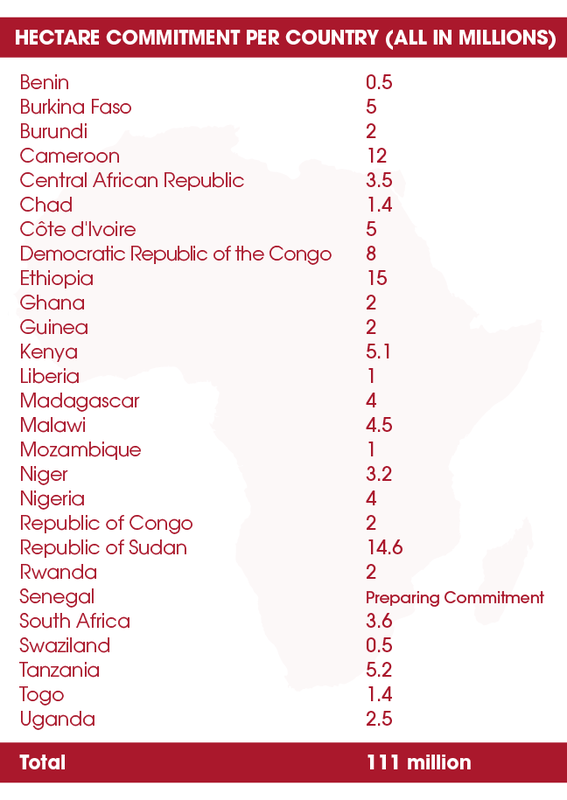 JOHANNESBURG (October 1, 2018) — Twenty-seven nations across the continent have now committed to restore 111 million hectares of degraded land as part of the African Forest Landscape Restoration Initiative (AFR100) and the Bonn Challenge – exceeding the 100-million-hectare AFR100 target. In realizing these commitments, countries will spur climate resilience, economic growth and more. “It was a great success that the Global Landscapes Forum conference in Nairobi took place back-to-back with the third annual AFR100 partners meeting at the end of August there. We have sent a strong signal for the integration of reforestation, restoration and sustainable rural development. The broad concept of landscape restoration provides us with strong ideas in the fight against hunger and poverty through implementing the entire Agenda 2030 – and mainly SDG2 (zero hunger) and SDG15 (life on land),” said Bernhard Worm, Senior Policy Officer at the German Federal Ministry for Economic Cooperation and Development (BMZ). Participants of the recent AFR100 meeting also endorsed the motion to have the United Nations General Assembly (UNGA) declare a UN Decade of Ecosystem Restoration, first proposed in March 2018 by El Salvador’s Ministry of Environment and Natural Resources – intended to increase the visibility of and resourcing for countries’ restoration efforts.